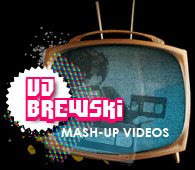 VJ Brewski - DJ/ VJ/ Video Remixer: VJ Brewski USA TOUR! Yep, that's right. Off to the USA later this month for gigs at Bootie Boston, LA and San Francisco. Check out the promo video for more info. Super Psyched! VJ Brewski 2010 USA Tour Promo Video from Bootie Brisbane on Vimeo.